SOLONEWS / ARTE&CULTURA / Nick Jonas' future looks bright with Priyanka Chopra! As per a Times Of India report, Priyanka Chopra and Nick Jonas will get married in Jodhpur on December 2 while the pre-wedding functions for the Chopra-Jonas wedding will begin from November 30. The groom's brother Joe Jonas and actress Sophie Turner of "Game of Thrones" fame will serve as the Best Man and Woman respectively. Priyanka Chopra (36) who started her film career opposite Vijay in "Thamizhan" has gone on to rule Bollywood and is now a much sought after actress in Hollywood as well. 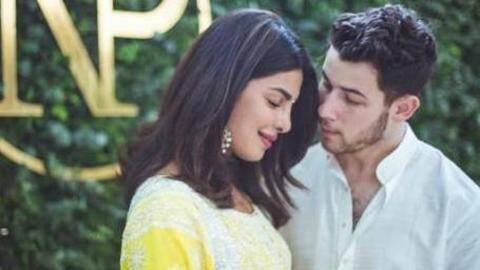 After keeping fans and media guessing for the longest time, Priyanka and Nick confirmed their engagement in August with a "roka" ceremony, followed by a private party in Mumbai. Priyanka and Nick sparked rumours when they arrived at last year's Met Gala together, both dressed in Ralph Lauren creations. "We met up like in NY the first time and the same day I think we found out that we are both going to the Met Gala with Ralph Lauren". But as it is said there is no age barrier for love!